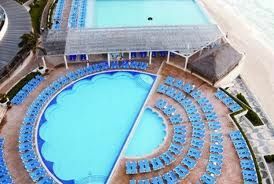 Visit a tropical paradise located in Cancun, Mexico, as the Golden Shores & Crown Paradise Club Cancun offers comfortable accommodations and friendly staff. 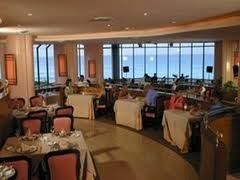 The resort is located close to the beach and features six restaurants and four swimming pools. When planning your next vacation, you will not be disappointed with this family-friendly and activity-filled destination. 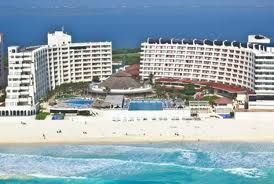 These Cancun timeshares for sale offer studio, one and two bedroom units at Golden Shores & Crown Paradise Club Cancun. The studio rooms will accommodate two people while the one and two bedroom units can sleep up to seven people comfortably. 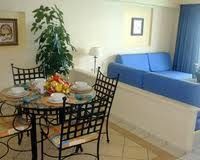 Some of the rooms offer a view of the beach or the pool and provide a small kitchenette. Coffee maker, television, and free Wi-Fi create a welcoming atmosphere where you can enjoy spending time with family and friends. On-site amenities include four swimming pools with different age group designations. The Aqua Park is designed for children at least twelve years old while the Infant and Family pools provide an excellent place to cool off on warm days. Many adults also appreciate the adult pool where there are fun activities to enjoy all day long. After a day of relaxing in the sun, you will want to visit one of the six restaurants offering a variety of family-friendly cuisine to a fine dining experience. Reservations are required at some of the restaurants so plan ahead. Games, a pirate ship, and a treasure hunt will give the kids something to do while you enjoy a cocktail in one of several bars. White sandy beaches and crystal clear water are just two of the attractions available at Golden Shores & Crown Paradise Club Cancun. The warm weather offers the perfect opportunity to enjoy a variety of water sports, golfing, visiting local historical sights, or shopping. When relaxing at the resort, guests will feel right at home with the friendly staff, supervised activities for the children, and shows and nightlife to entertain everyone. 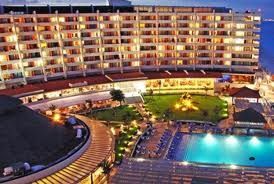 Cancun timeshares for sale can offer the perfect accommodations to meet the needs of your family. Whether you are planning an intimate getaway for two, a family vacation, or a destination wedding – you will enjoy Crown Paradise Club. Contact Golden Shores & Crown Paradise Club - Cancun Specialist Today!